Dunbar and District History Society became a registered publisher in 2016 and intends to produce a series of books and pamphlets relating to Dunbar’s local history. 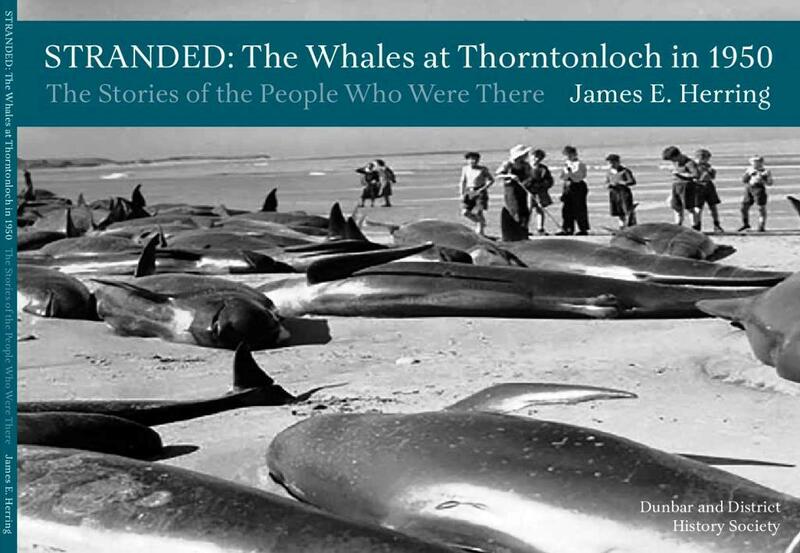 Our first publication was STRANDED: The Whales at Thorntonloch in 1950 by James E Herring. 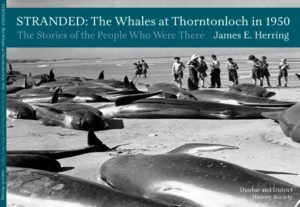 You can see the outline of the book here and listen to some of the interviews of people who went to see the whales here and here. 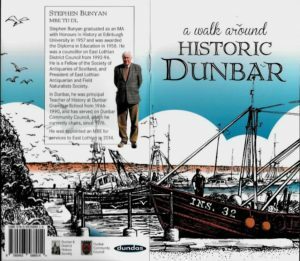 Our latest publication is A Walk Around Historic Dunbar by Stephen Bunyan and the book was published this month. This book (£3.50) takes readers on a walk around parts of Dunbar with a commentary on key buildings and areas in Dunbar’s history, such as the Town House and the harbour. The book is illustrated with pen drawings of key buildings in Dunbar by the late Sally Collins and has been expertly designed by Emma Westwater of Source Design. There is a brief history of Dunbar at the start of the book and the walk begins at the Town House, then takes the reader down the West Port to Friarscroft, site of the 13th century friary. The walk continues up Delisle Street and along Lawson Place to St Anne’s Rectory and St Anne’s Church. From there, the reader/walker is invited to go to the harbour via Lauderdale House, which was built by James Fall MP in the early 1700s. There is detailed information on Dunbar Castle, the two harbours and the Battery, recently revamped by Dunbar Harbour Trust to great effect. From the old harbour, the reader/walker is taken up Shore Street and along Lamer Street, with parts of some of the 18th century warehouses on view. The walk then goes along to Dunbar Parish Church and back along the High Street. This is a fascinating insight into Dunbar’s history and many of its key historically significant buildings. A map is included at the end of the book, with a list of the buildings referred to. Publication of the book was made possible by financial assistance from Dunbar Community Council and from Dundas Estates. The book is on sale at the Town House and from other outlets in the High Street. Stephen Bunyan is a member of DDHS, an eminent local historian and former head of history at Dunbar Grammar School, who has served on many local committees. All profits from the book will go to fund future projects by DDHS and not to the author.